Nations (in order):UK, Germany, France, Italy, Austria-Hungary, USA, Japan, Russia. 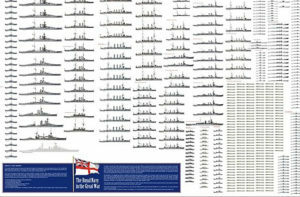 The coefficient is based on speed (in knots), armour (sum of top thickness in mm, belt, citadel, CT, turrets, decks), and armament (sum of guns and calibers, main and secondary). Of course this is a largely artificial exercize: There is no way to correlate the speed, armour and armament as simply as making an addition. Also, there are tons of data missing in this picture. 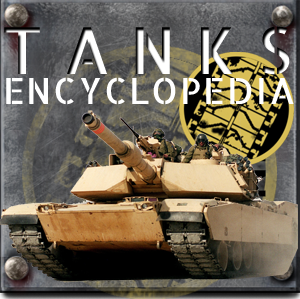 For armour alone, a single flat wall of steel plates of say 6 in, is eeasily beaten by six successives plates of 1 in each, some angled, and the intermediary spaces filled with water, fuel, coal, or any ballast. That’s the art of compartimentation. 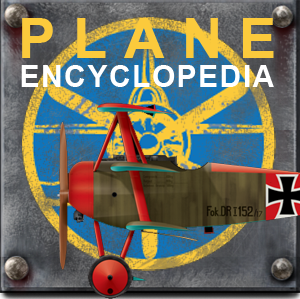 Also it does not tell about the sights, recce planes, radars, computers used to define not only intelligence about the enemy but fire accuracy and the rate of fire. 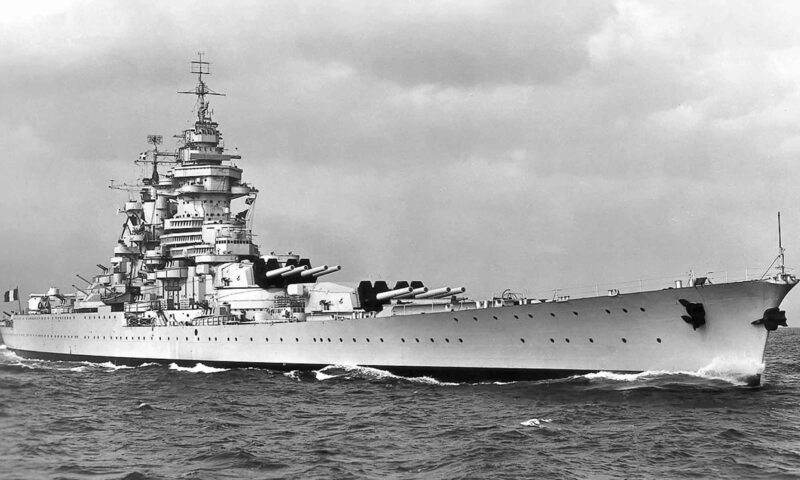 It was proven better for a cruiser to manage saturation fire with 6-in guns rather than fewer slow-firing 8-in post-Washington. Speed is not everything: It does not tell the range of a ship, its consumption and machinery reliability. And at the end of the day, the crew is everything. At Jutland, British battlecruisers were doomed because the crew was ordered to neglect safety to gain time when handling ammunition, also despite a better rate of fire and accuracy, many shells did not explode. 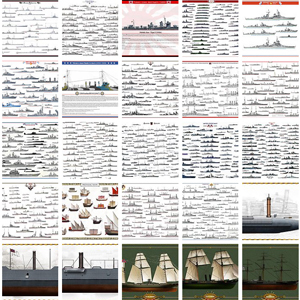 Whereas on paper, British ships were superior… So, this “top nine” is to take with a lot of salt !